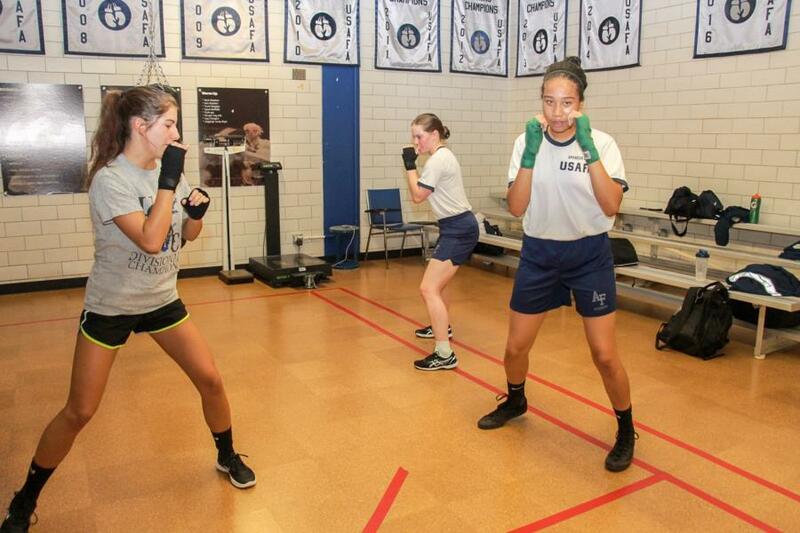 This week we happened to catch the Women's Boxing Club Team in the midst of practice and we were able to snap some team photos of most of the girls on the team as well! Here's some background on the team provided by their Coach TSgt Reginald Brooks and the Cadet In Charge Cadet Victoria Rodriguez (class of 2018). 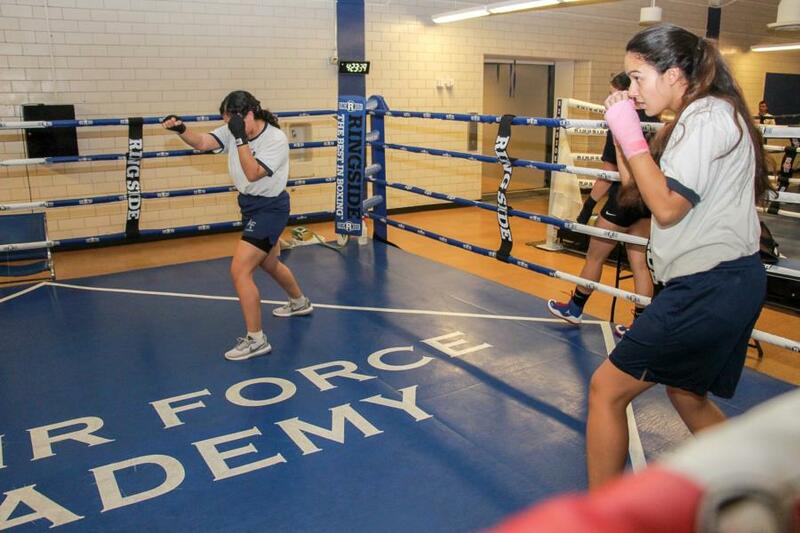 "The USAFA Women’s Boxing team was first established as a cadet club in the Fall of 2014 with the help of former coach, SMSgt Debra Sheppard and Hope Stremcha (USAFA Class of 2015). Thanks to the diligence and networking on their part, the club was able to host their very first try-outs where there were over 40 ladies in attendance. Out of that number, the team had approximately 12 ladies who consistently dedicated their time to practice and prepare for competitions. In addition to Sgt Sheppard’s coaching, the team also had the knowledge of MSgt Sarah Allen, TSgt Reginald Brooks and Robin Irene to hone their skills. 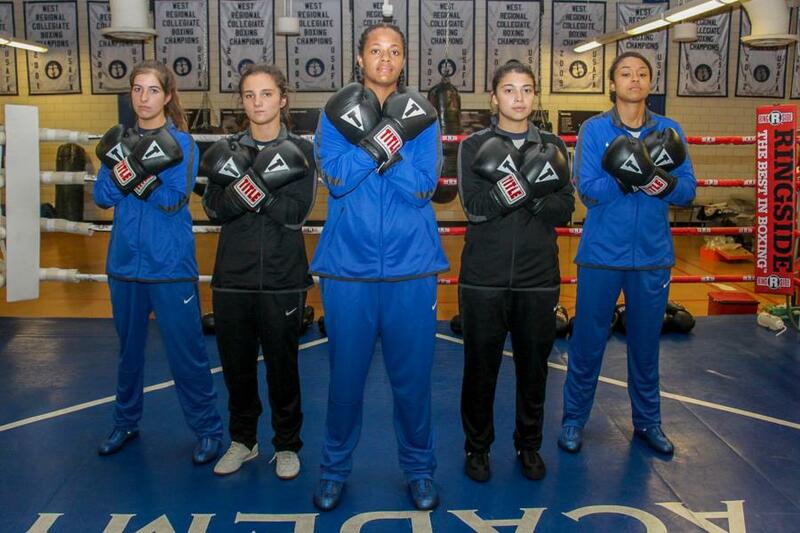 Within the first year of competing as a recognized National Collegiate Boxing Association (NCBA) team, the team produced two All-Americans and a nationally ranked bronze medalist. Additionally, within the first year of forming the team was able to compete in the 2015 Wing Open. This marked the first time that women competed in the hugely acclaimed event. The following season, the team was able to produced four All-Americans with two bringing home silver medals and two winning bronze. Having gained traction, for the third season the cadet wing granted us competitive club status, which is a testament to our hard work and varying levels of success. Also during that time, two of the ladies were selected to become intercollegiate athletes and train with the men’s team for the very first time. During the third season, the team was able to travel across the country to various tournaments. It was during this season that the team finally had a break through and brought home their first National Champion. In addition to that accolade, the team was also able to secure four All-Americans, of which two were bronze medalist. The team is now going into their fourth season and has tripled the number of fighters from the previous seasons. Under the leadership of the team captain, Victoria Rodriguez, and co-captain, Laura Drapinski, the team looks forward to continuing its quest to bring home a team national title. 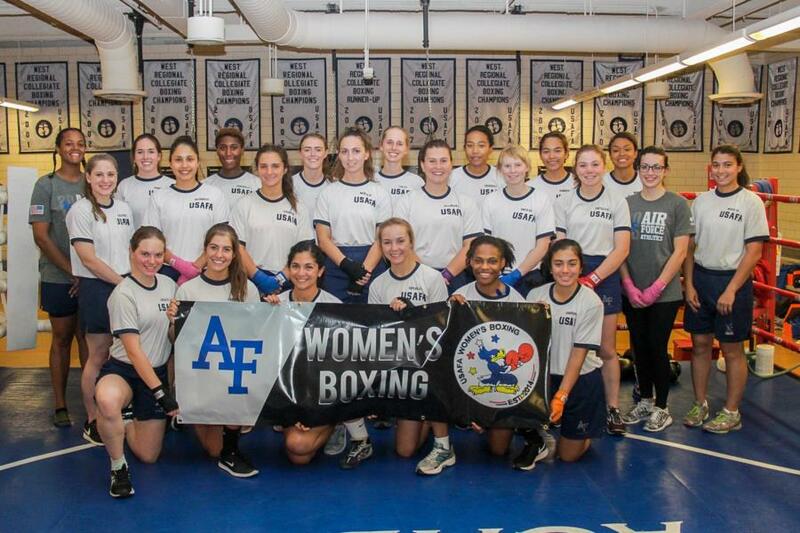 Feel free to follow us on our journey via our Facebook page: USAFA Women’s Boxing Fan Club"
We look forward to getting more coverage of the Women's Boxing Team as the year progresses! To view the rest of the pictures taken during our glimpse into their practice go to; Galleries - Extracurricular - Cadet Clubs. Or click the link below.